TV Eh B Cs podcast 25: Tahmoh Penikett’s Portals Prophecies and Pants | TV, eh? 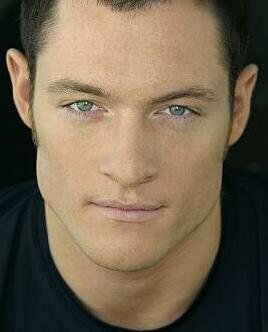 Before landing his role on the award-winning Battlestar Galactica as Karl ‘Helo’ Agathon, Tahmoh Penikett starred in the final season of the critically acclaimed Canadian series Cold Squad. After Battlestar Galactica, he went on to star in Dollhouse by Joss Whedon. He has guest-starred on a variety of series, including recurring roles on Castle, Supernatural, The Killing, Bomb Girls, Strange Empire and Continuum. He recently completed shooting the lead role in the film Painkillers, which will hit theatres in 2015. He also starred in the short film Trapped Ashes, which debuted at the Cannes Film Festival, and appeared in 2013’s Man of Steel. His latest project is a webseries for CBC Punchline called Riftworld in which he plays the dimensionally-stranded wizard, Alar of Caer Caladh. Want to become a Patron of the Podcast? We’ve got a Patreon page where you can donate a small amount per podcast and get a sneak peek of each release.